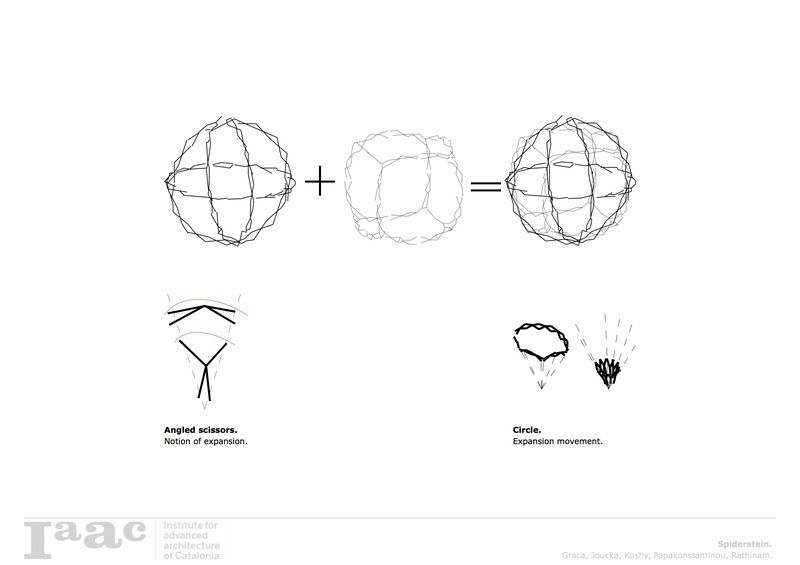 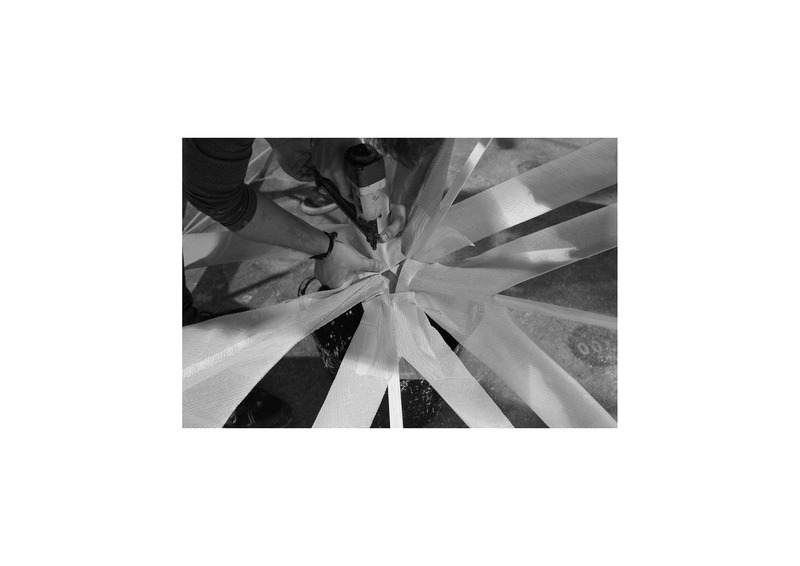 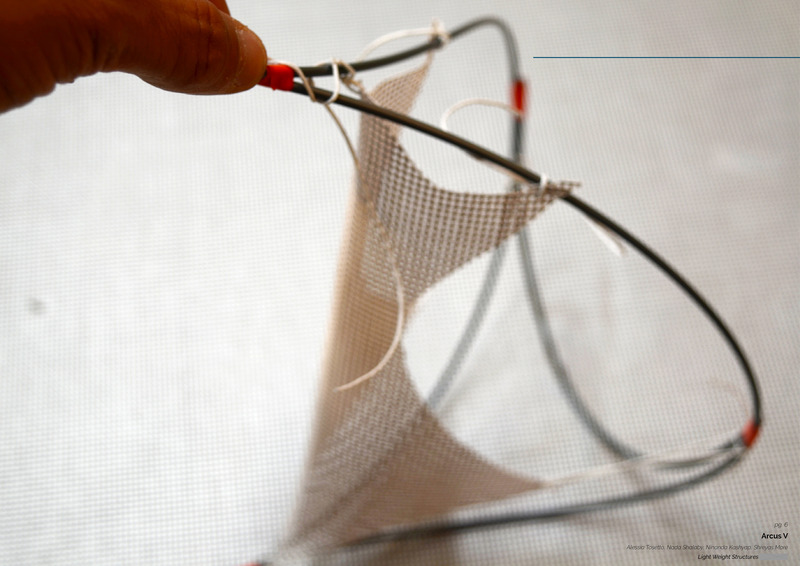 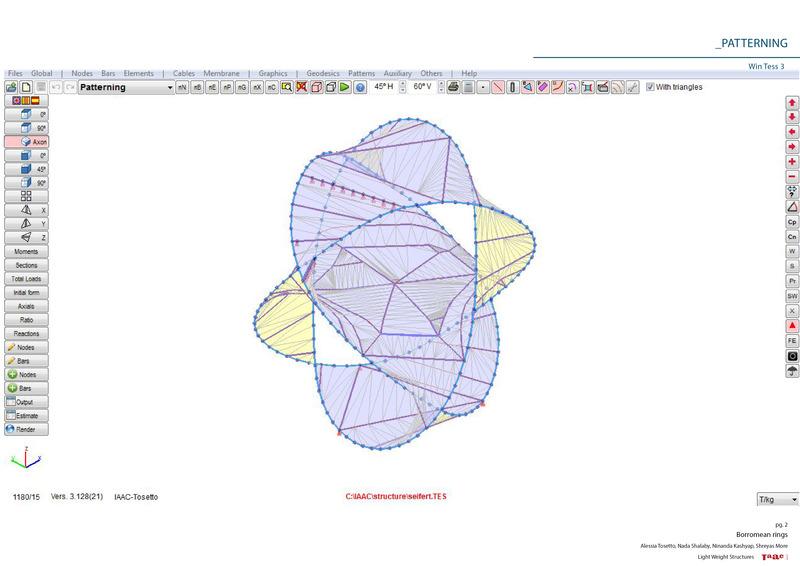 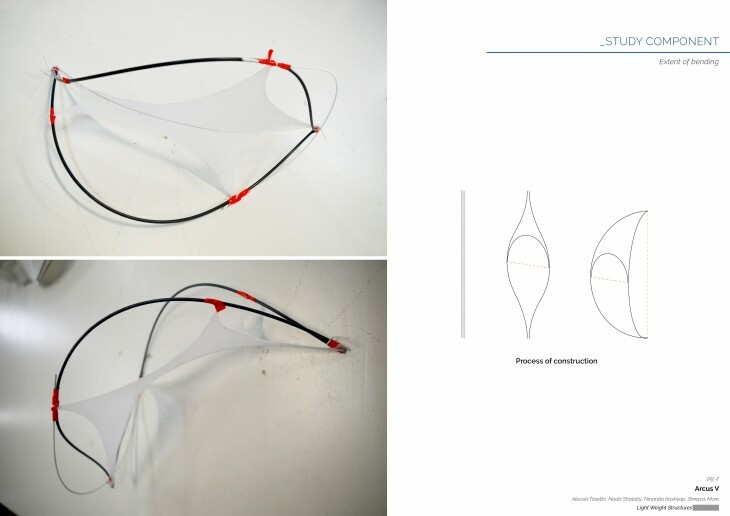 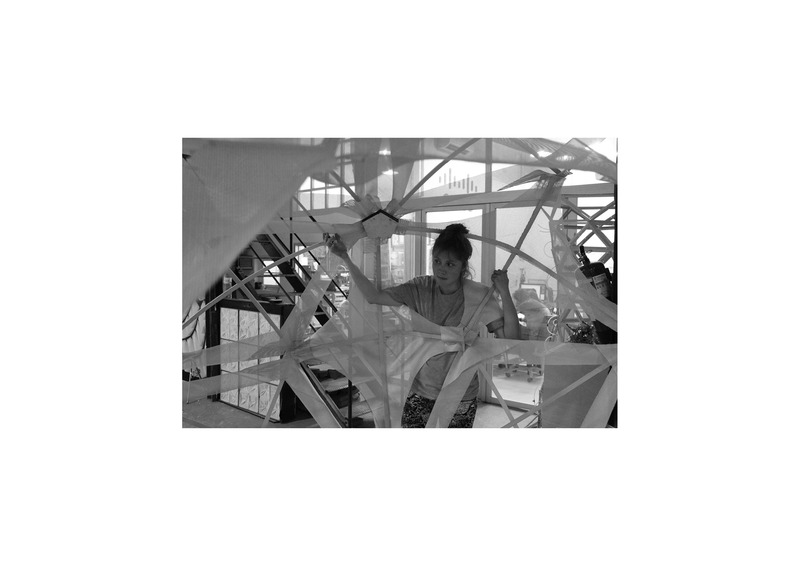 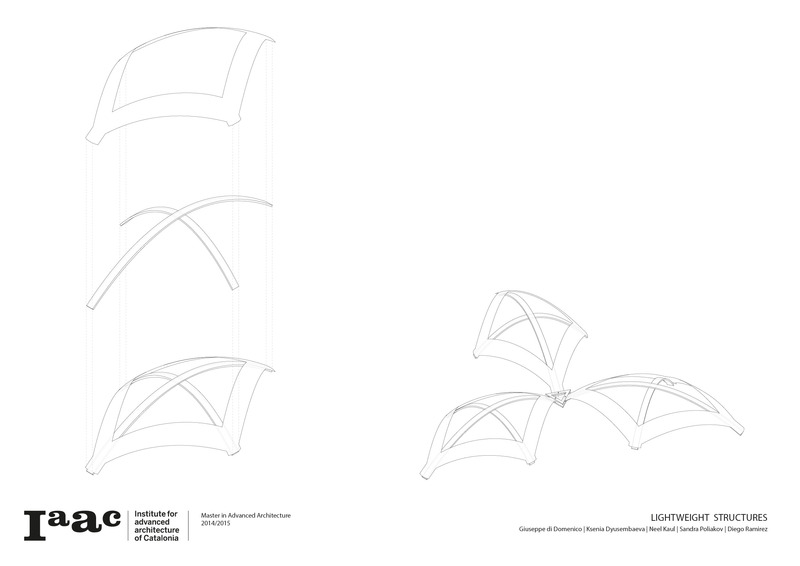 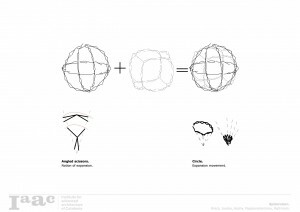 1- Produce a 1:1 expandable sphere: 3m in diameter structure made of curved links joined by pivots into scissor pairs that allow the structure to open and close, fold and unfold, expand and contract. 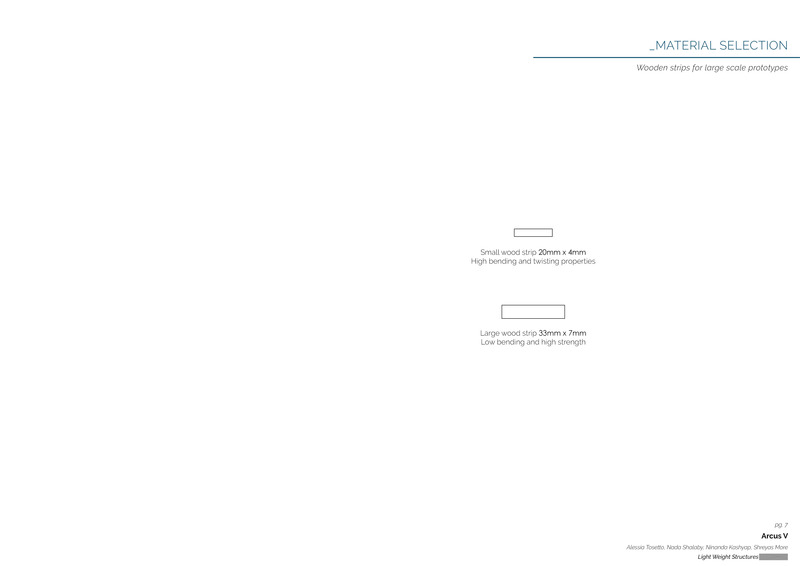 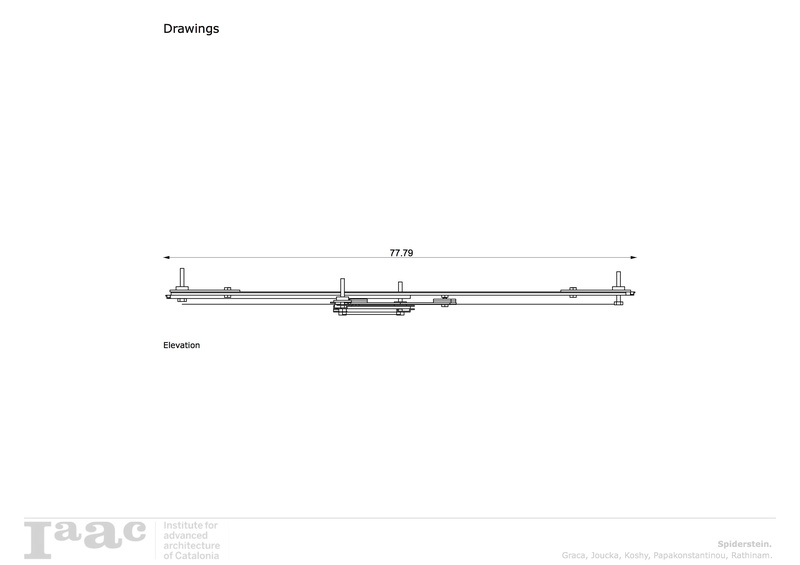 2- Closed System: The structure is to be actuation by one point only. 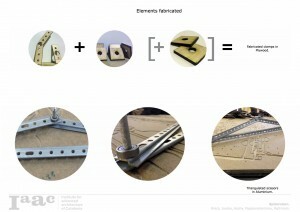 The idea is to make it expand in response to the weight of the inhabitant. 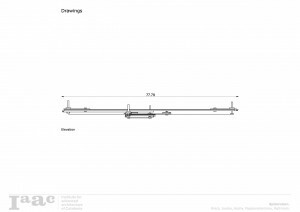 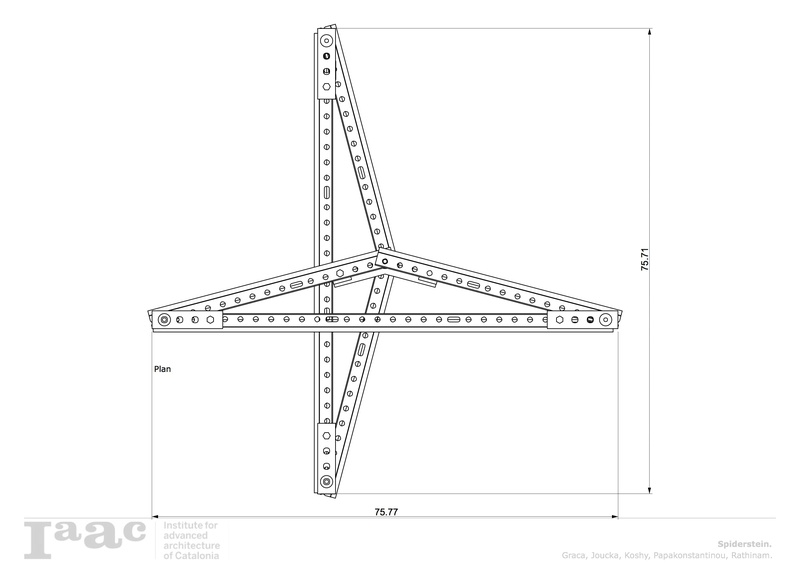 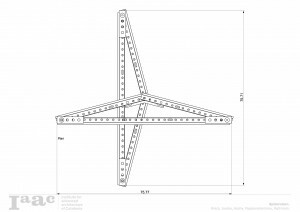 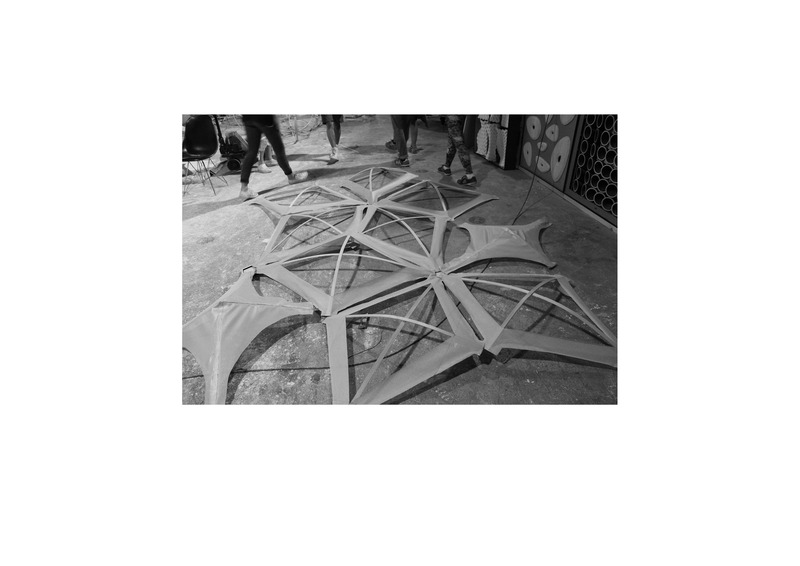 This means that the structure must be symmetrical, which is also more efficient in terms of design and fabrication, as the parts would be identical and hence replicated quickly. 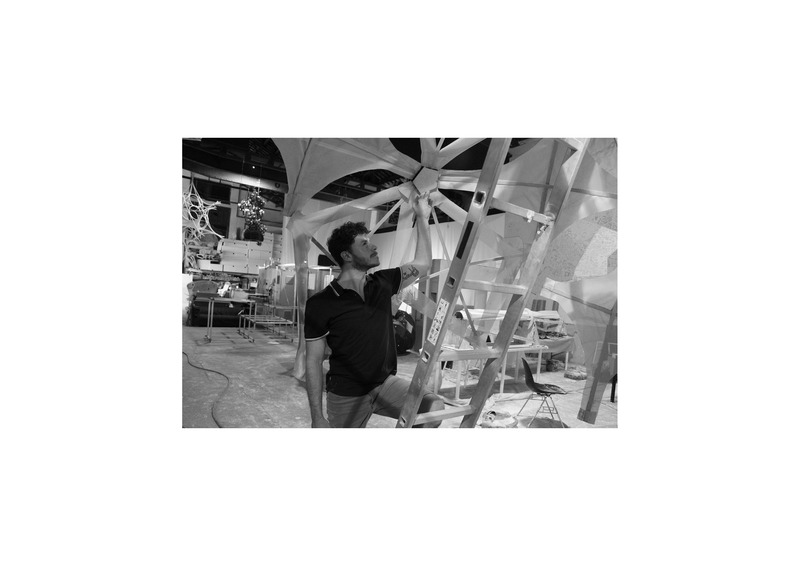 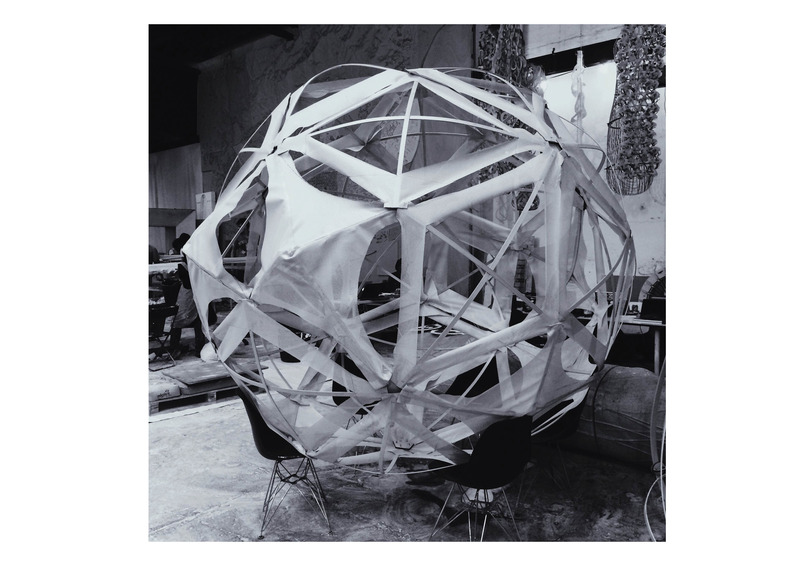 The structure designed by Chuck Hoberman, is essentially a spherical polyhedron known as icosadodecahedron, that is a geometrical form made with inrtersecting circles. 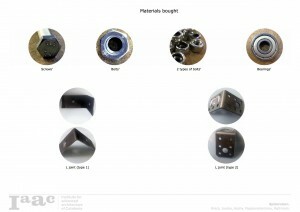 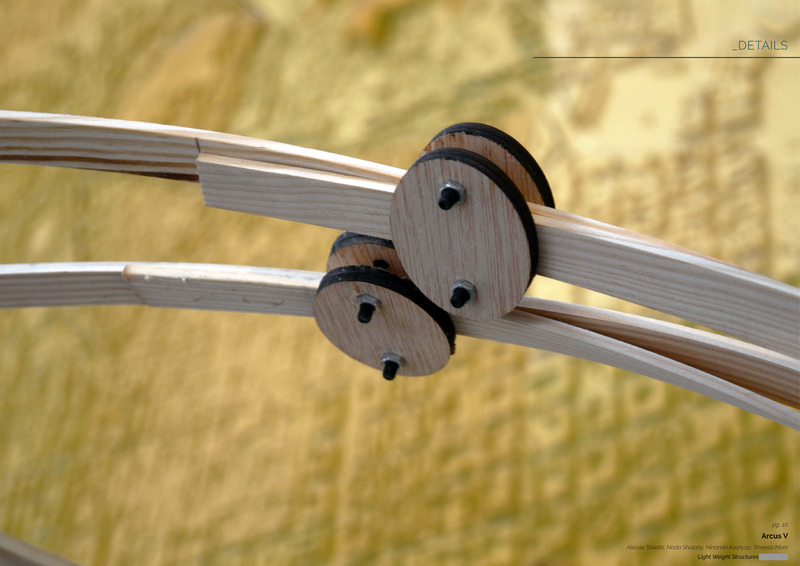 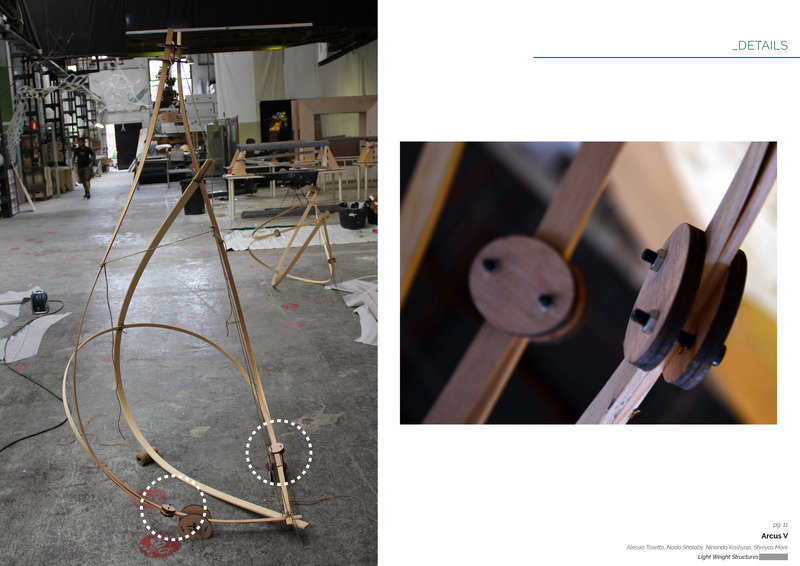 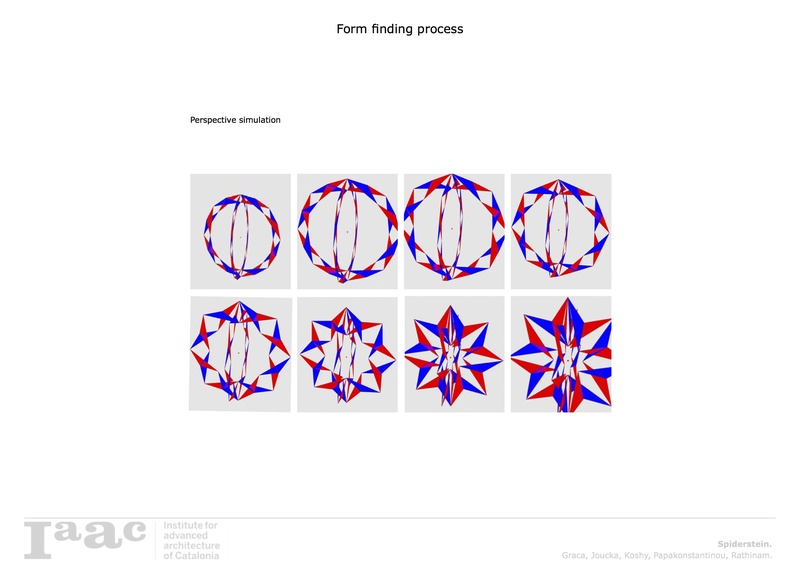 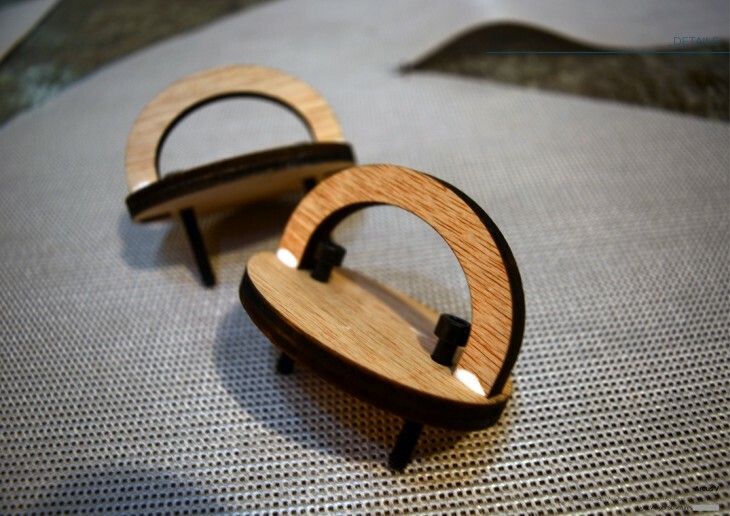 The development of geometric transformation is enabled by a rigorous design and engineering of hinged mechanisms capable of being folded without colliding with neighbouring components. 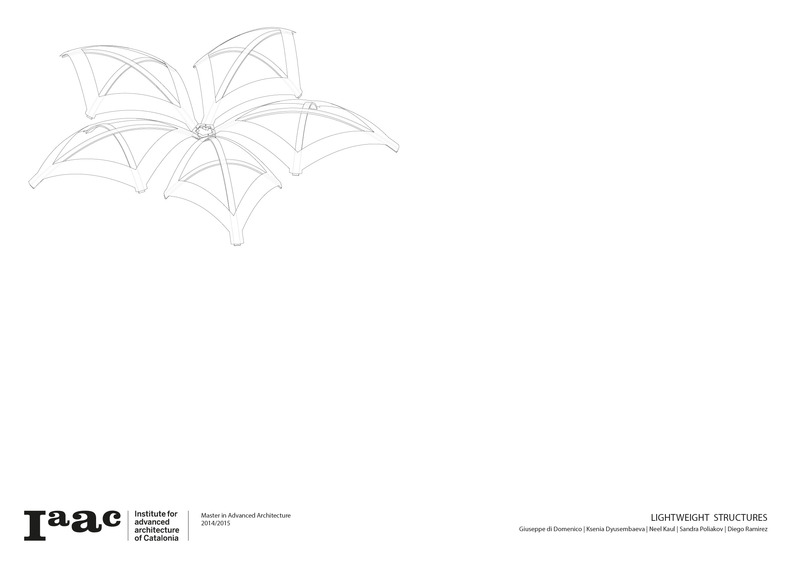 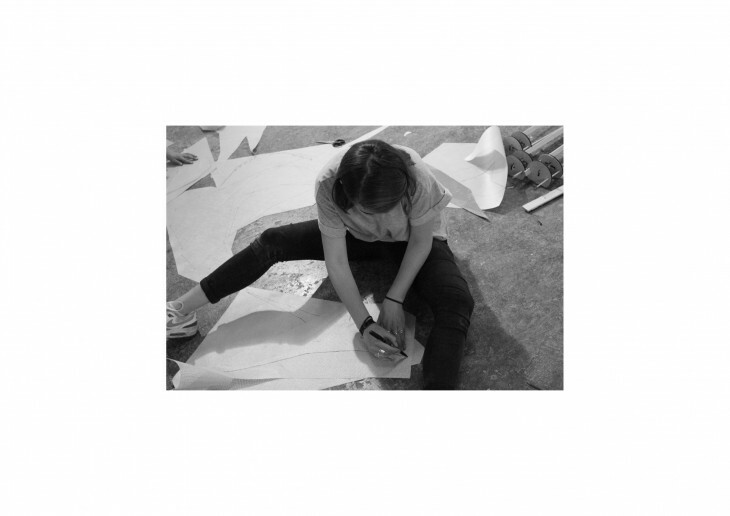 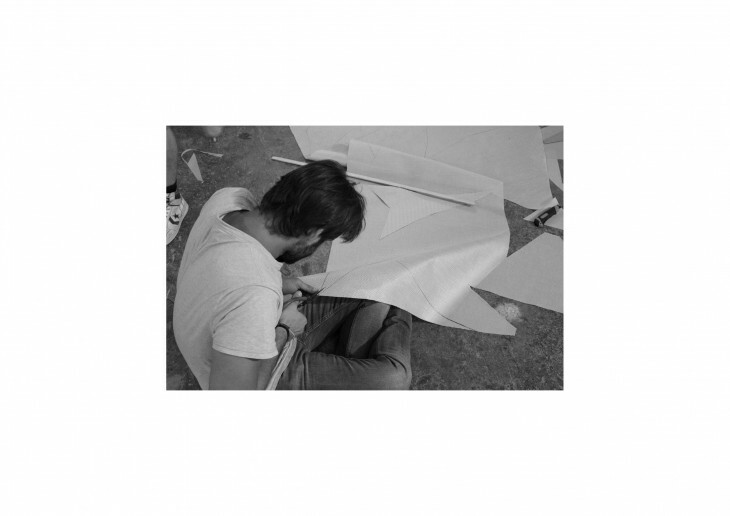 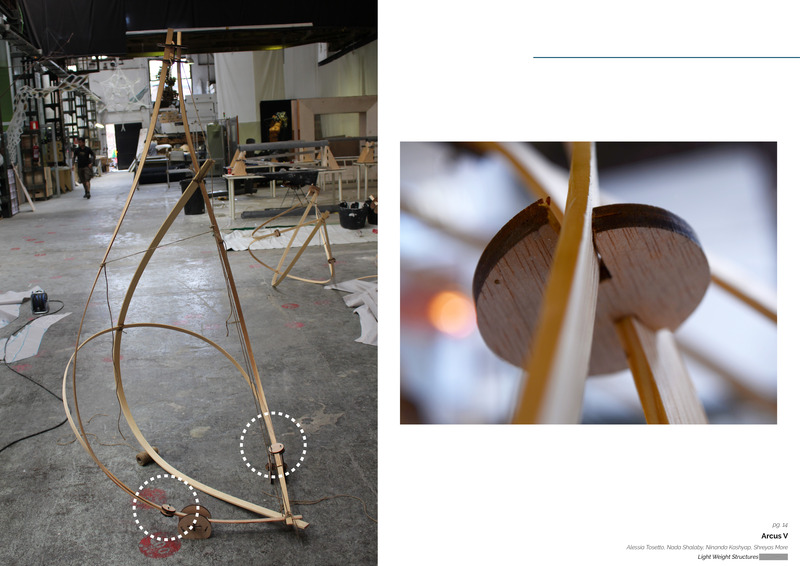 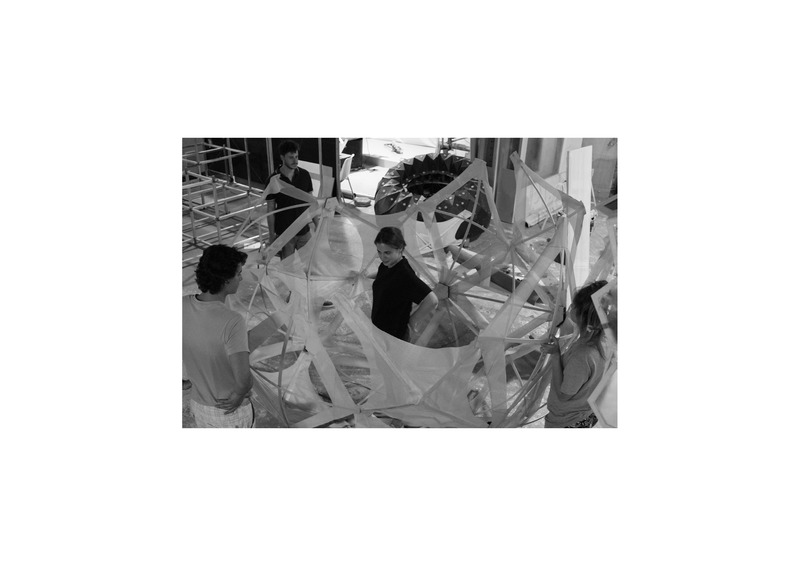 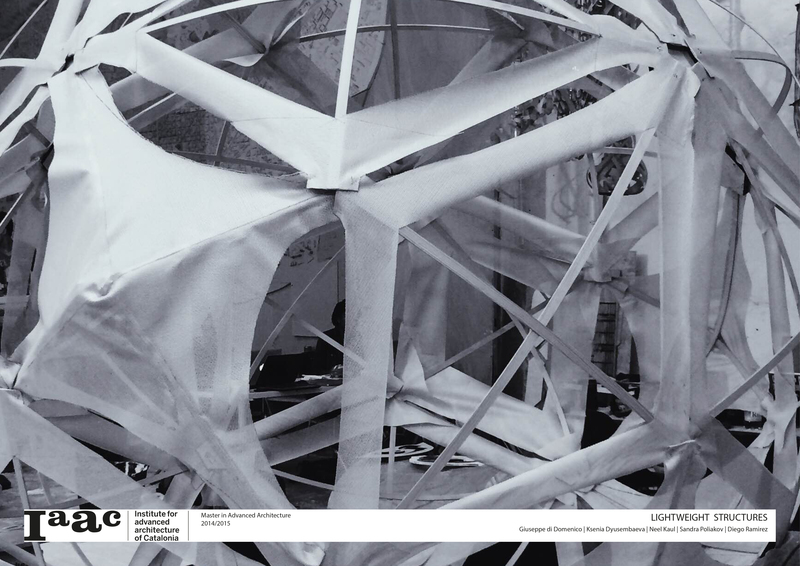 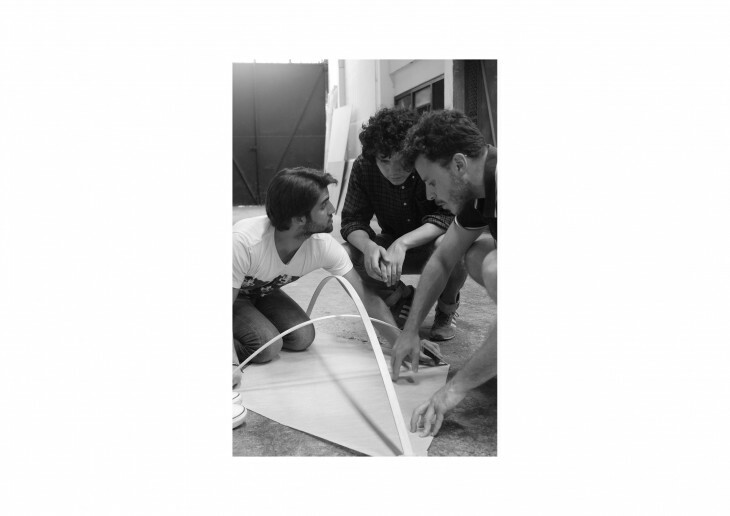 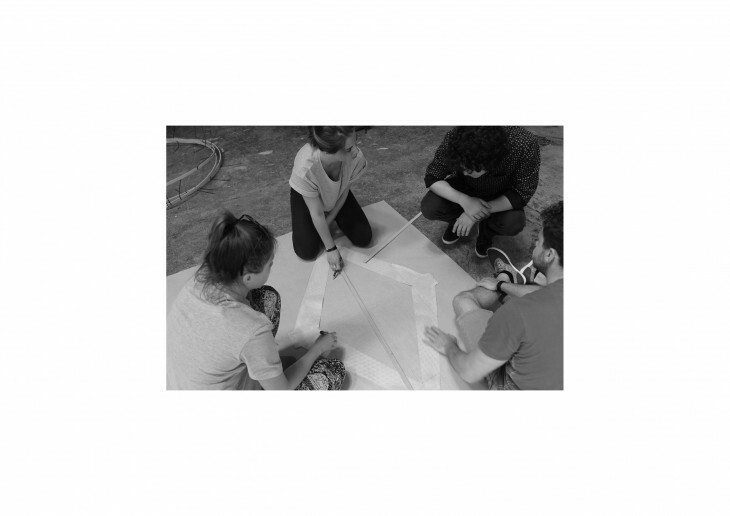 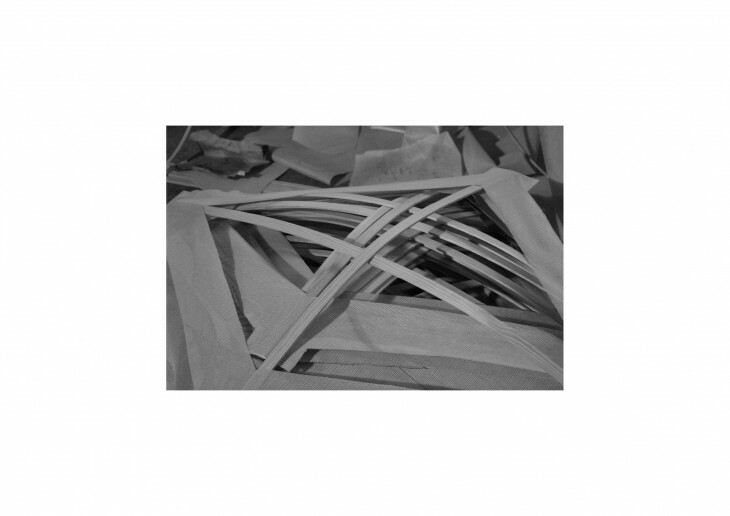 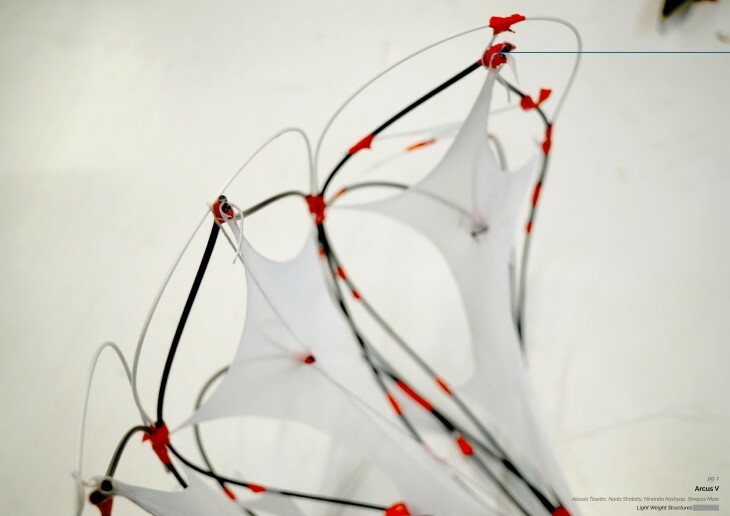 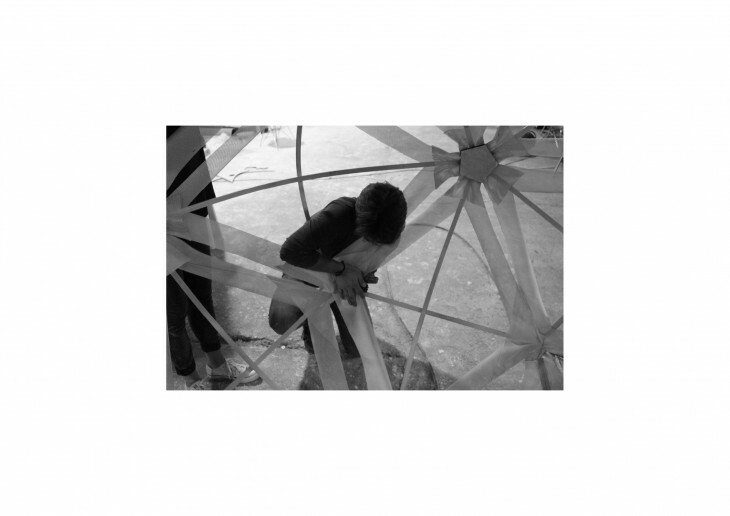 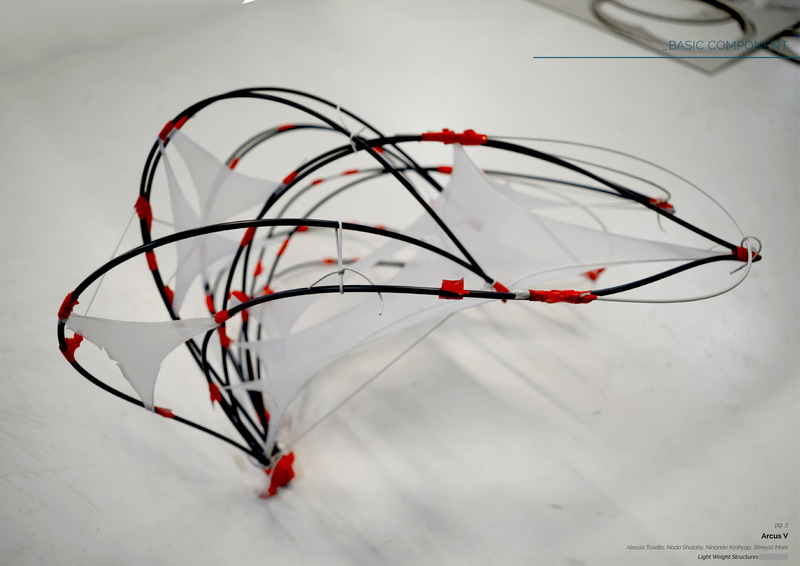 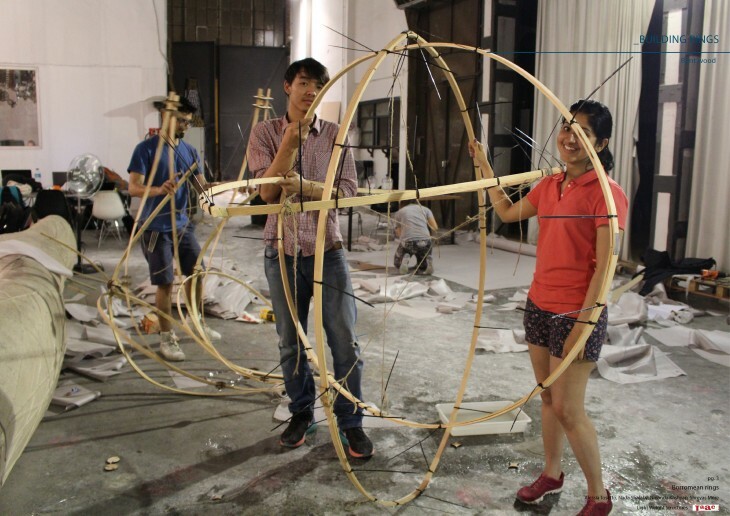 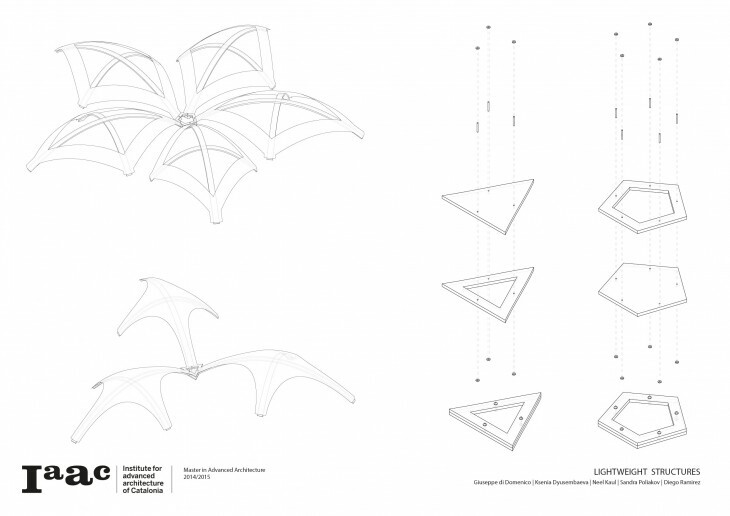 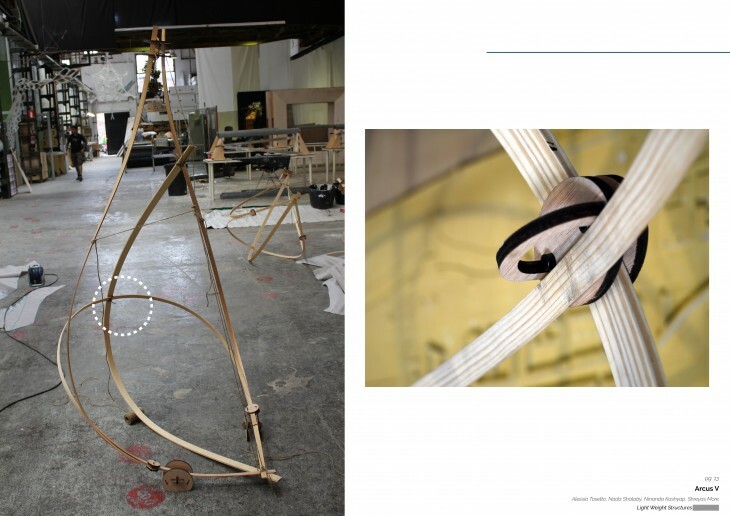 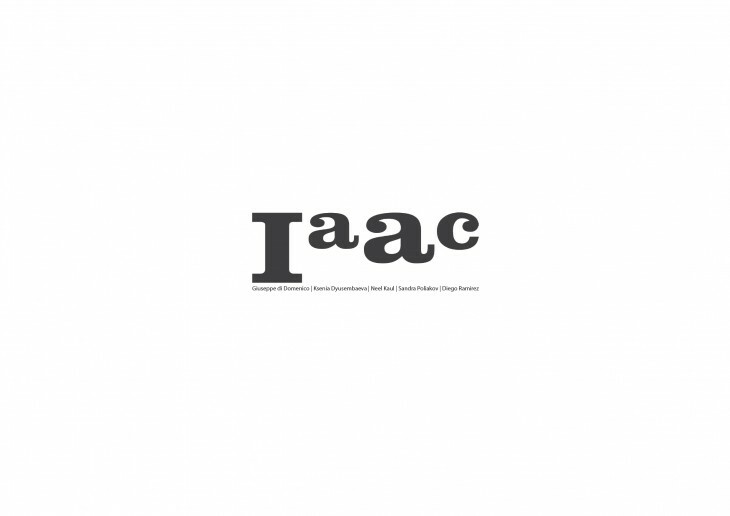 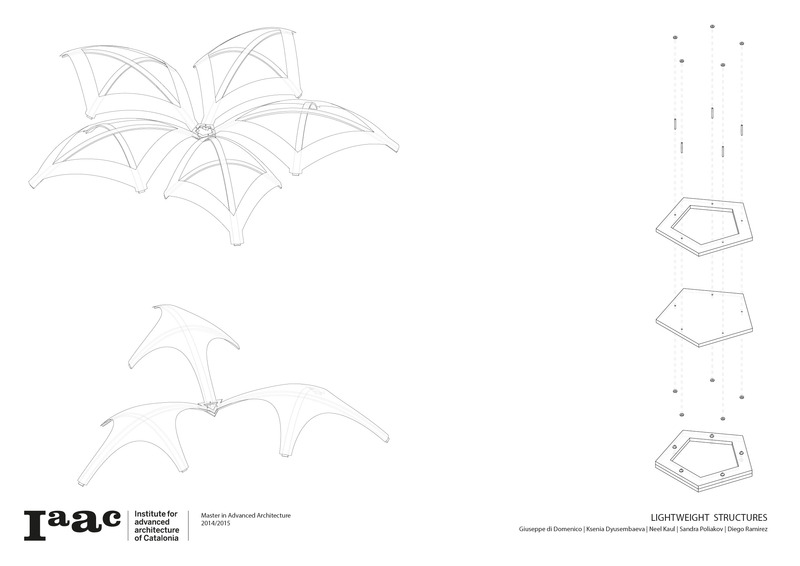 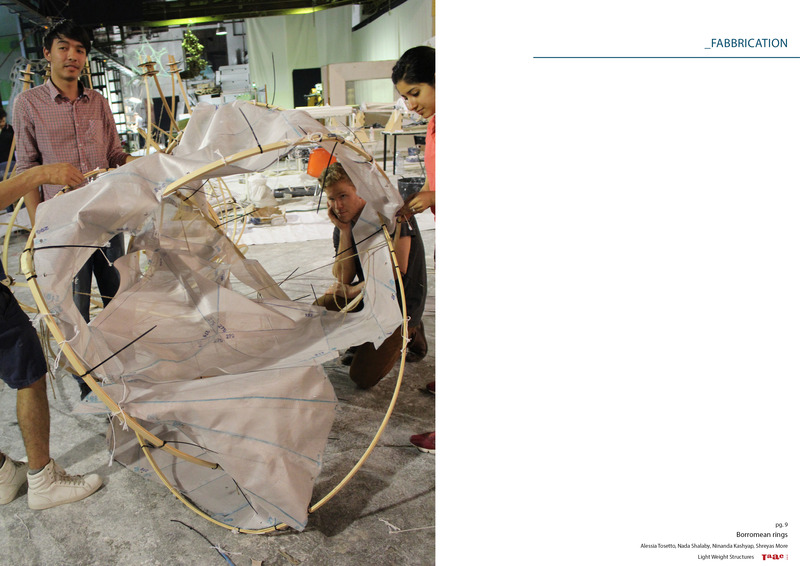 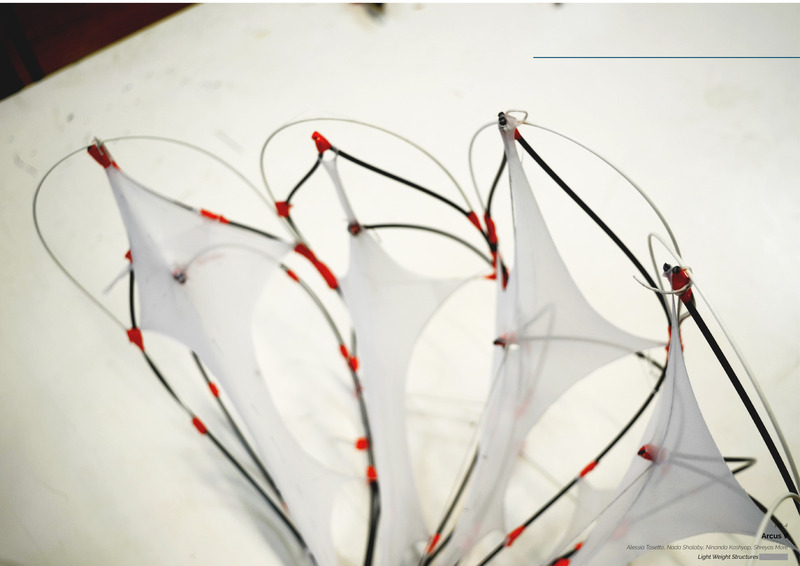 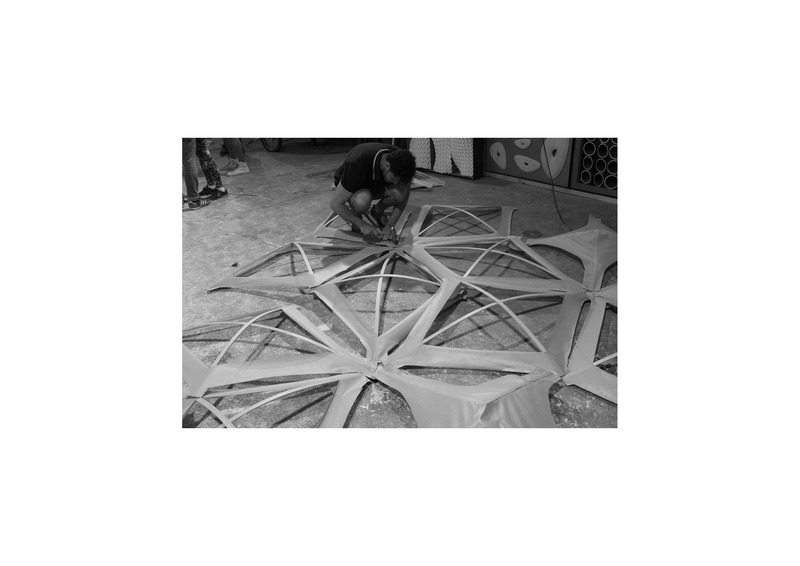 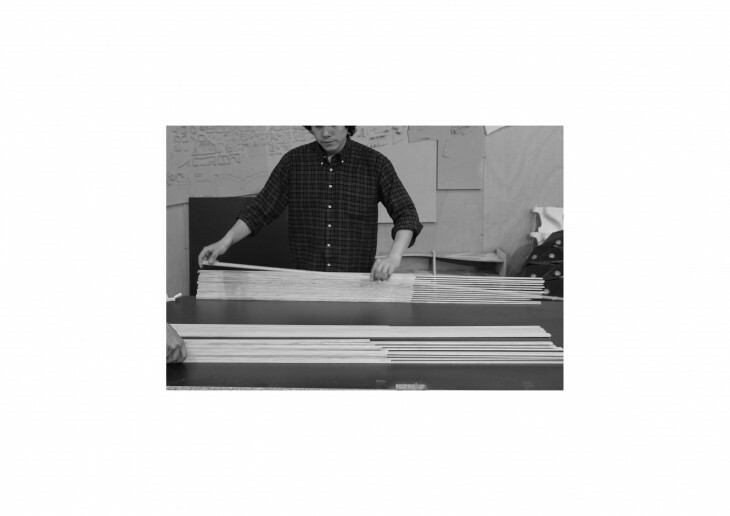 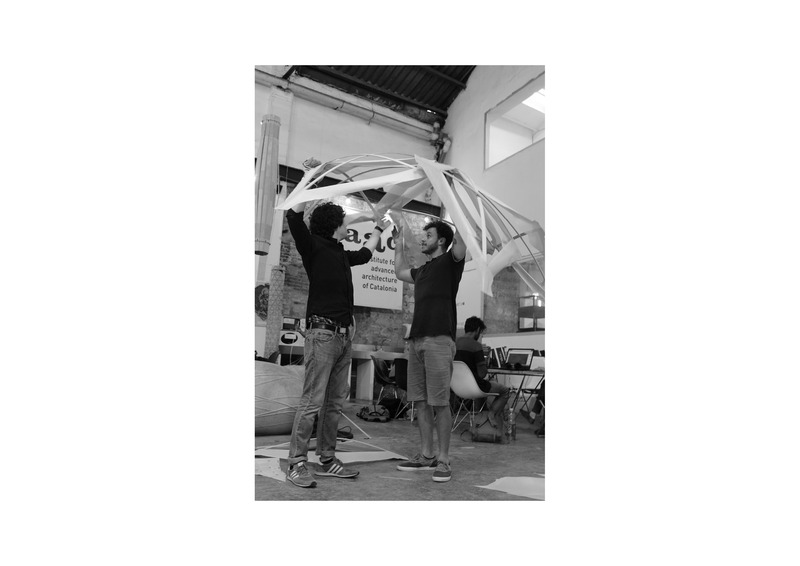 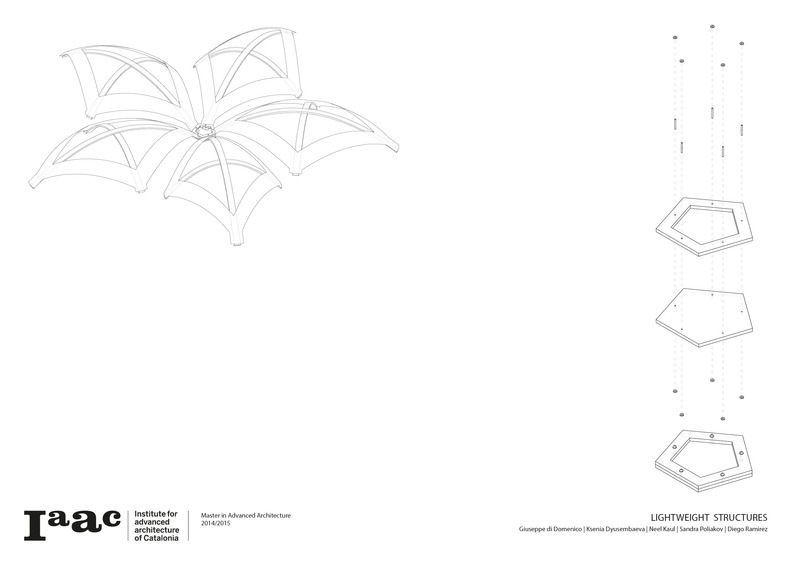 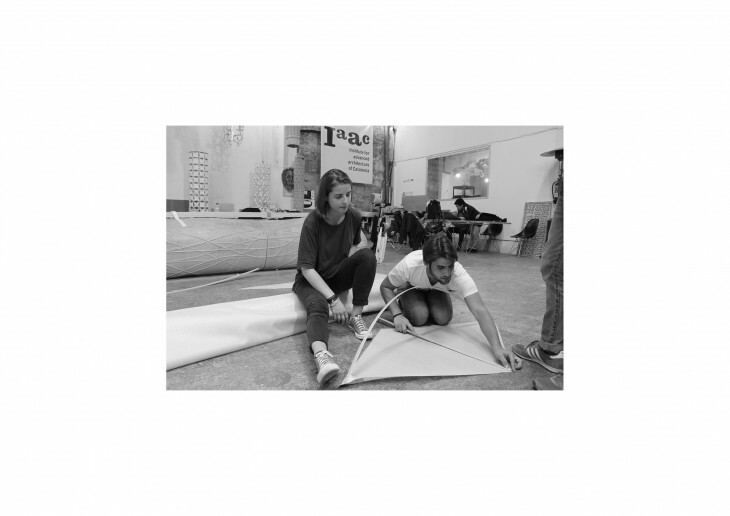 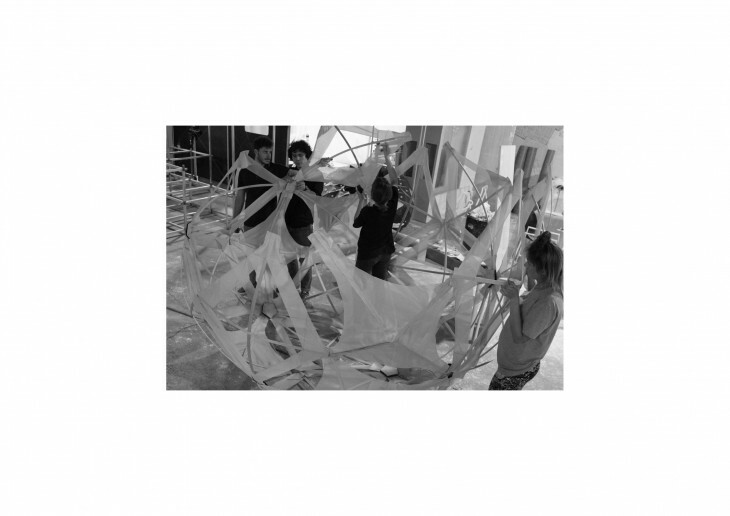 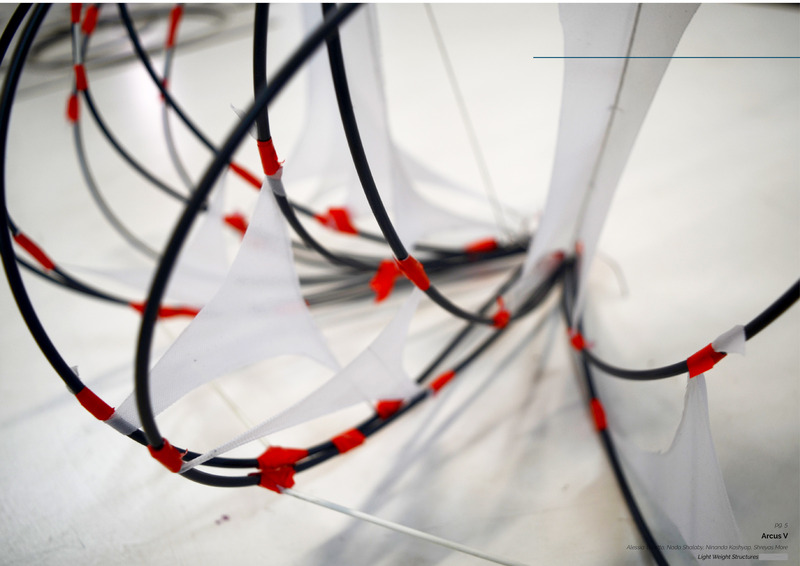 On Thursday, the projects of the Experimental Structures seminar (Lightweight Structures 1:1 3rd edition) were exhibited at IAAC. 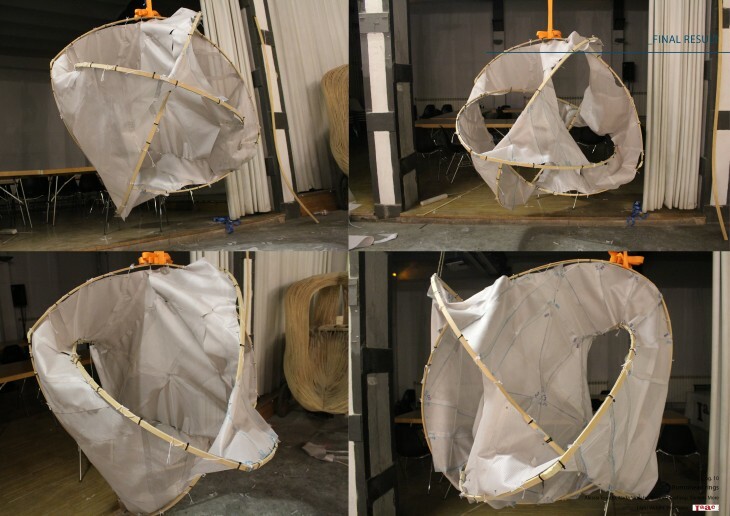 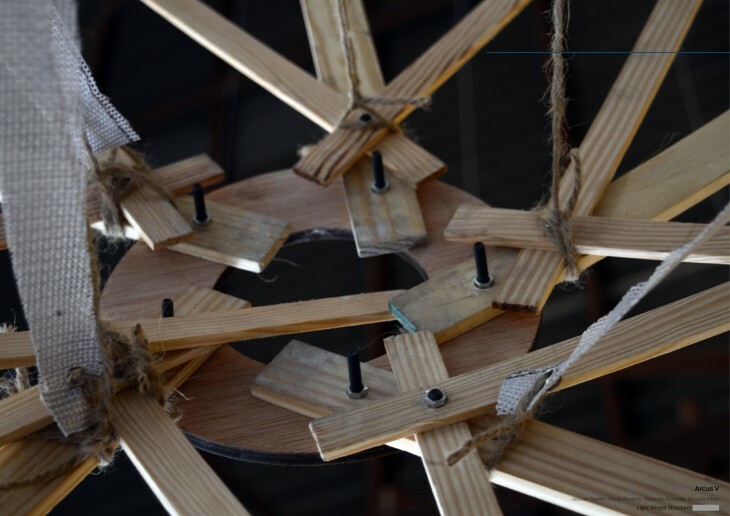 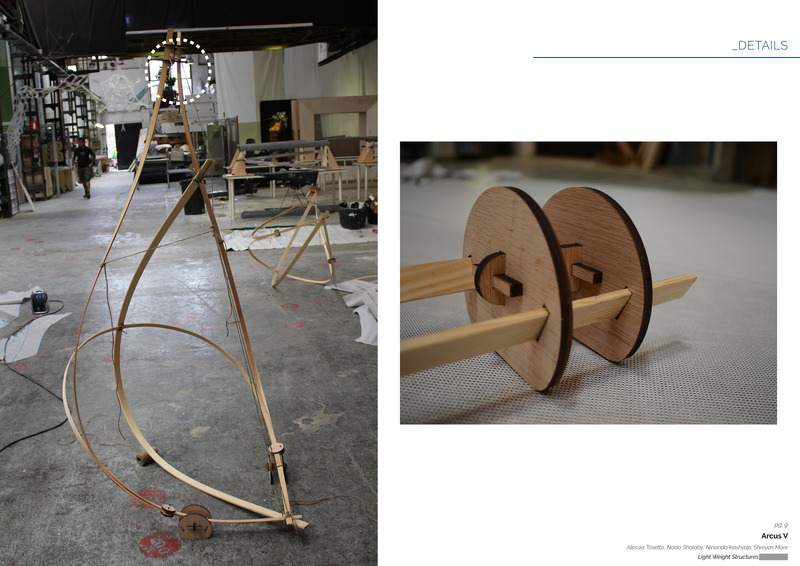 Groups of students explored the applications of composite textiles and other lightweight materials in the fabrication of a large sphere, using the principals active tension, tensegrity, and expansion/contraction. 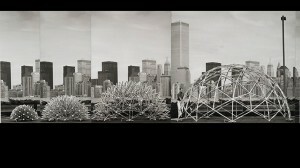 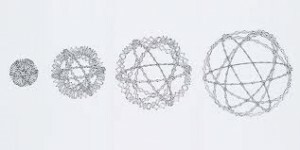 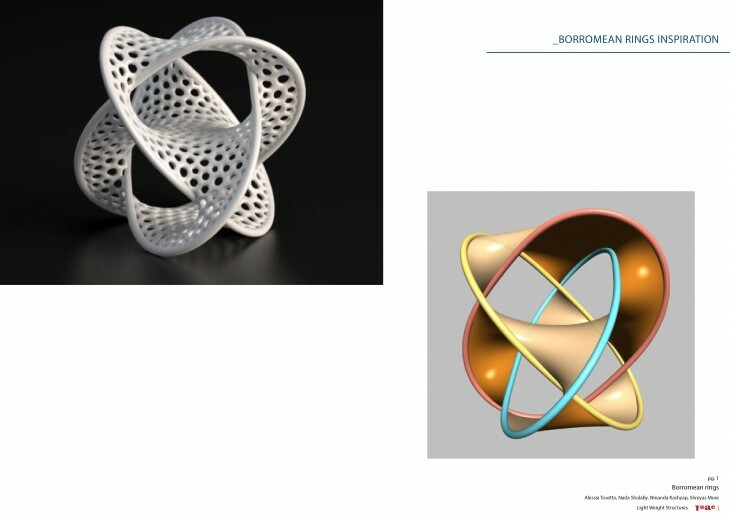 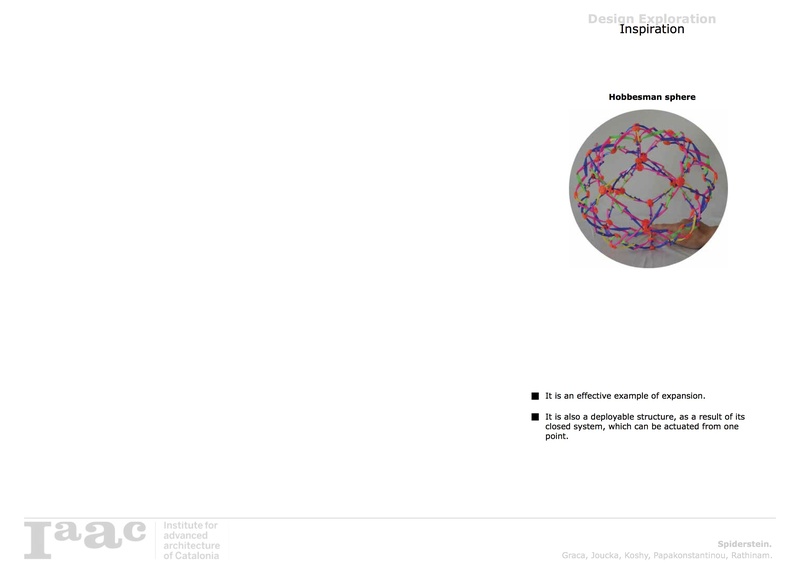 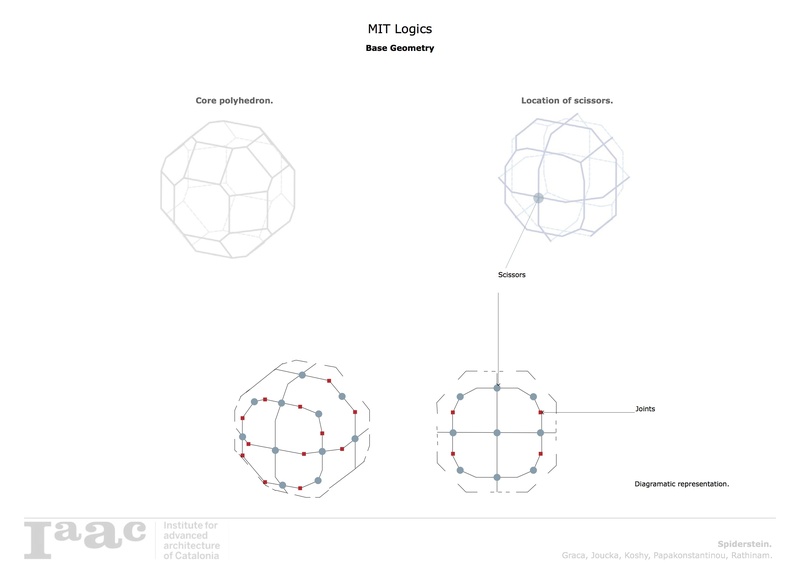 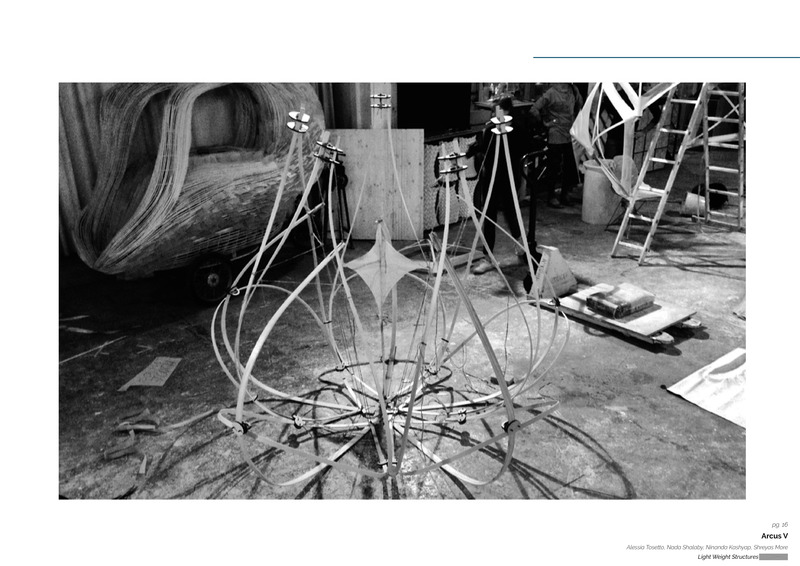 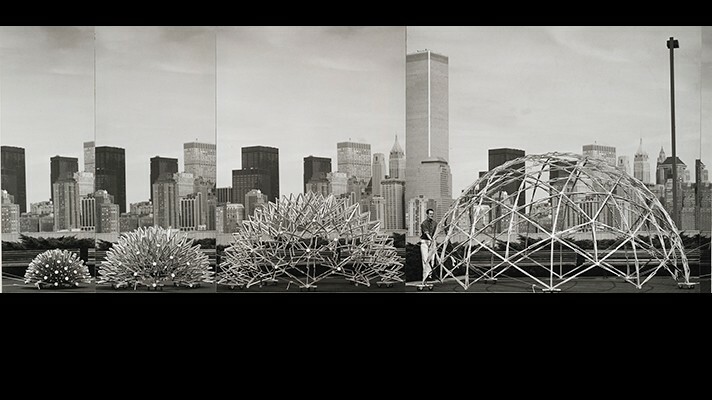 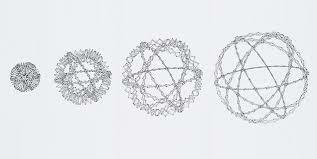 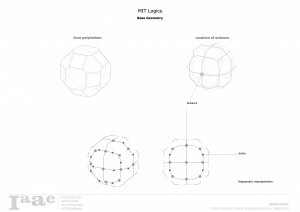 Through the designing of a sphere, or its components, the intention was to focus on geometry and structural behavior, rather than habitability or otherwise architectural applications. 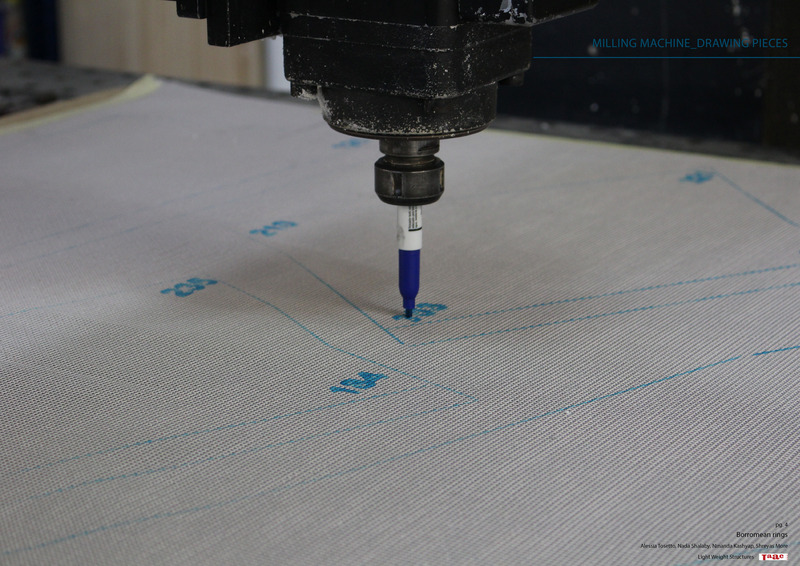 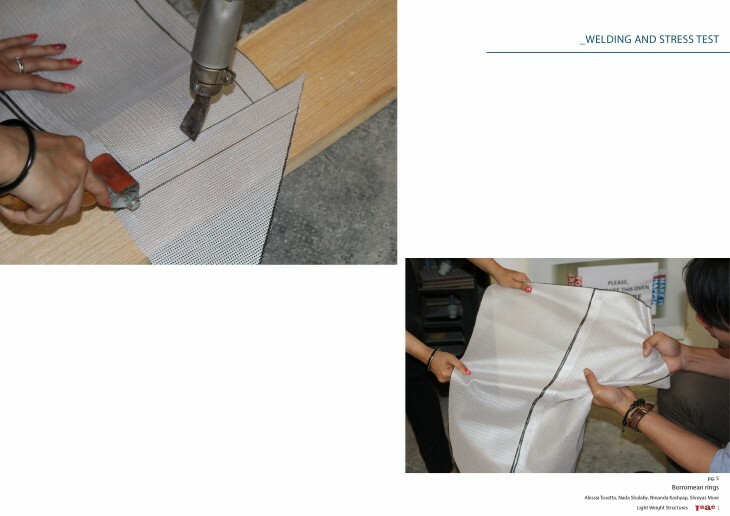 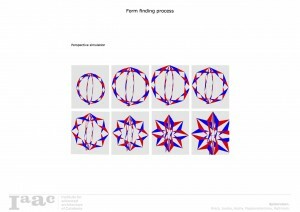 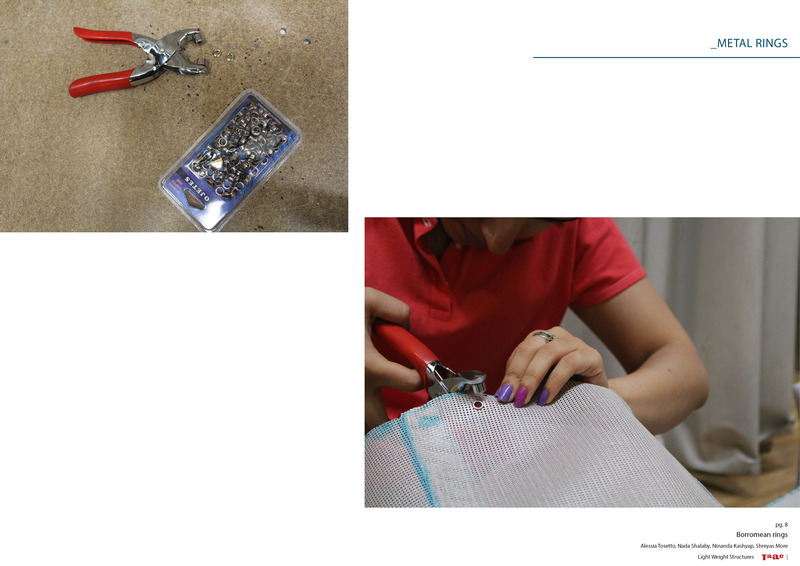 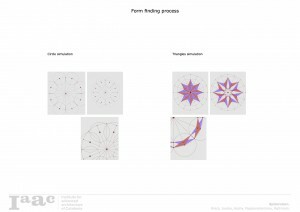 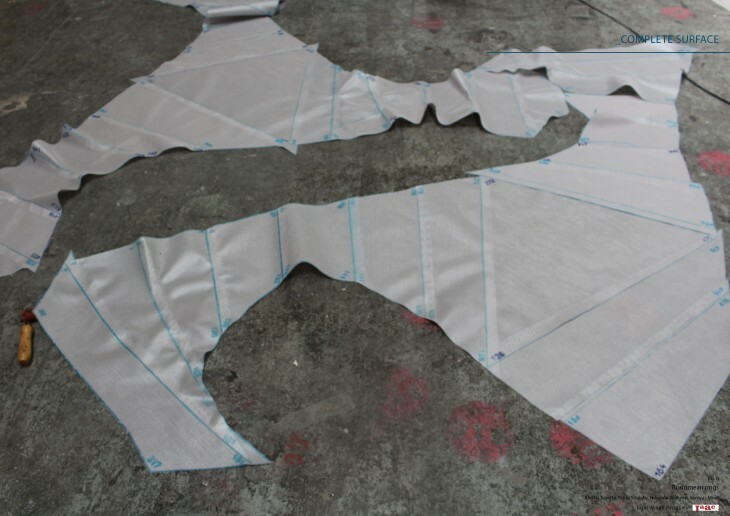 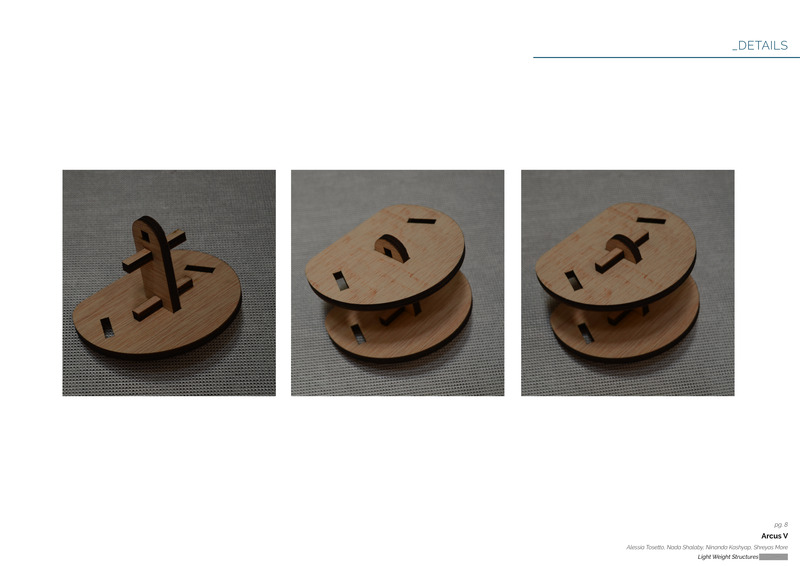 The students worked transversely between digital and analog methods, using specific digital tooling for fabric pattering in complex geometries and CNC machine hacking. 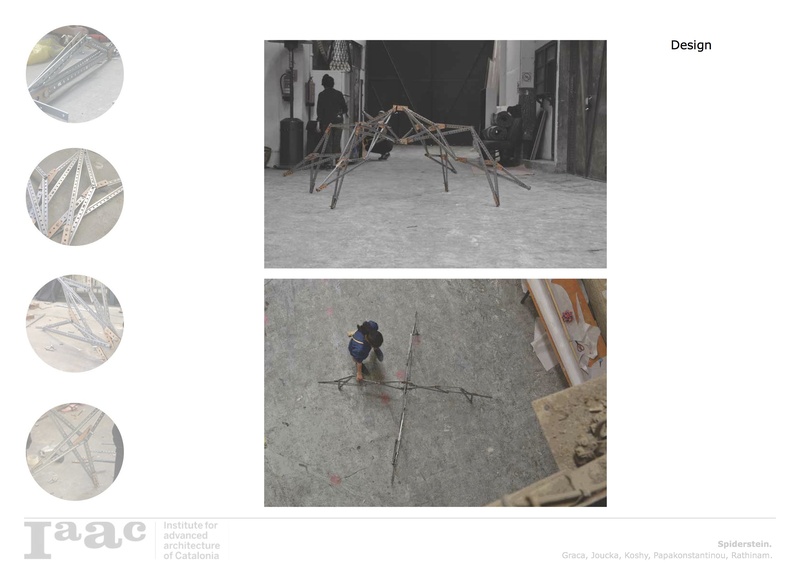 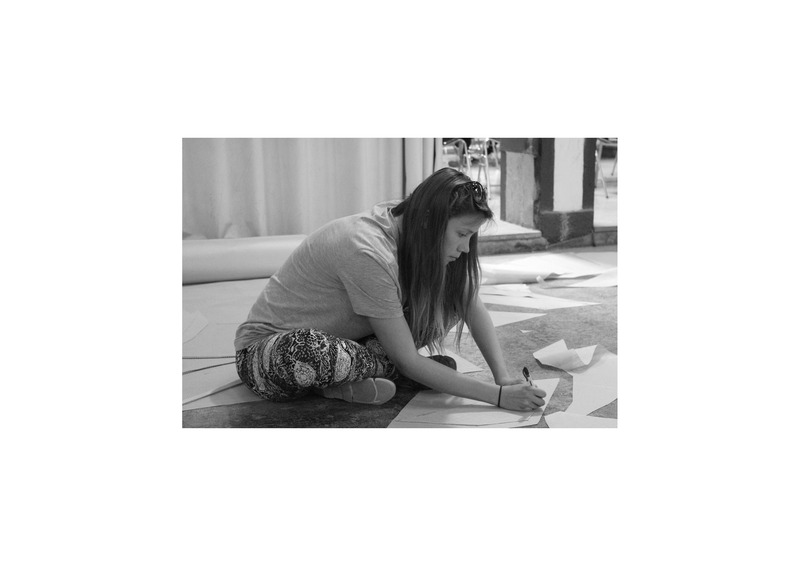 The seminar was lead by IAAC Academic Coordinator Silvia Brandi and assisted by IAAC Alumni Alejandro Martinez del Campo and Robert Douglas McKaye. 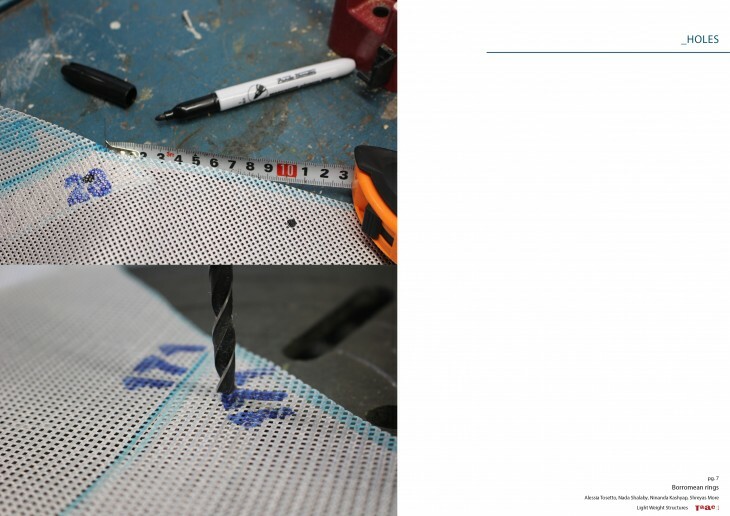 Composite textile sponsorship was provided by Serge Ferrari. Additional jury members consisted of MAA Coordinator Maria Kupstova and computational faculty Rodrigo Aguirre.